Oil prices are controlled by traders who bid on oil futures contracts in the commodities market. That's why oil prices change daily. It all depends on how trading went that day. Other entities can only affect the traders' bidding decisions. These influencers include the U.S. government and the Organization of Petroleum Exporting Countries. They don't control the prices because traders actually set them in the markets. The oil futures contracts are agreements to buy or sell oil at a specific date in the future for an agreed-upon price. They are executed on the floor of a commodity exchange by traders who are registered with the Commodities Futures Trading Commission. Commodities have been traded for more than 100 years. The CFTC has regulated them since the 1920s. Commodities traders fall into two categories. Most are representatives of companies who actually use oil. They buy oil for delivery at a future date at the fixed price. That way, they know the price of the oil, can plan for it financially, and so reduce or hedge the risk to their corporations. Traders in the second category are actual speculators. Their only motive is to make money from changes in the price of oil. There are three main factors that commodities traders look at when developing the bids that create oil prices. First is the current supply in terms of output. Since 1973, OPEC has a limited supply of 61 percent of the world's oil exports. But U.S. shale oil production doubled between 2011 and 2014. That created an oil glut. Traders bid the price down to $45 per barrel in 2014. Prices fell again in December 2015 to $36.87 a barrel. OPEC would normally cut supply to keep oil at its target of $70 a barrel. This time, it allowed prices to fall since it wouldn't lose money until oil is $20 a barrel. Shale producers need $40-$50 a barrel to pay the high-yield bonds they used for financing. OPEC bet that the shale oil producers would go out of business. This would allow it to keep its dominant market share. That started to occur in 2016. The oil price forecast has shown such volatility in prices because of the changes in oil supply, dollar value, OPEC’s actions, and global demand. Second is access to future supply. That depends on oil reserves. It includes what's available in U.S. refineries as well as in the Strategic Petroleum Reserves. These reserves can be accessed very easily to increase oil supply if prices get too high. Saudi Arabia can also tap into its large reserve capacity. Third is oil demand, particularly from the United States. These estimates are provided monthly by the Energy Information Agency. Demand rises during the summer vacation driving season. To predict demand, forecasts for travel from AAA are used to determine potential gasoline use. During the winter, weather forecasts are used to determine potential home heating oil use. Potential world crises in oil-producing countries dramatically increase oil prices. That's because traders worry the crisis will limit supply. That happened in January 2012 after inspectors found more proof that Iran was closer to building nuclear weapons capabilities. The United States and the European Union began financial sanctions. Iran threatened to close the Strait of Hormuz. The United States responded with a promise to reopen the Strait with military force if necessary. The possibility of an Israeli strike was also a concern. As a result, oil prices bounced around $95 to $100 a barrel from November through January. In mid-February, oil broke above $100 a barrel and stayed there. Gas prices also went to $3.50 a gallon. 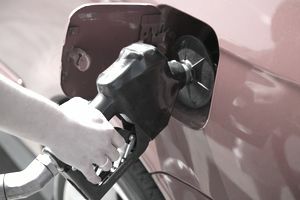 Forecasts were that gas would be at least $4 a gallon through the summer driving season. World unrest also caused high oil prices in the spring of 2011. In March 2011, investors became concerned about unrest in Libya, Egypt, and Tunisia in what became known as the Arab Spring. Oil prices rose above $100 a barrel in early March and reached its peak of $113 a barrel in late April. The Arab Spring revolts lasted through the summer and resulted in an overturn of dictators in those countries. At first, commodities traders were worried that the Arab Spring would disrupt oil supplies. But when that didn't happen, the price of oil returned to below $100 a barrel by mid-June. Natural and man-made disasters can drive up oil prices if they are dramatic enough. Hurricane Katrina caused oil prices to rise $3 a barrel and gas prices to reach $5 a gallon in 2005. Katrina affected 19 percent of the nation's oil production. It came on the heels of Hurricane Rita. Between these two, 113 offshore oil and gas platforms were destroyed and 457 oil and gas pipelines were damaged. In May 2011, the Mississippi River flooding caused gas prices to rise to $3.98 a gallon. Traders were concerned the flooding would damage oil refineries. On the other hand, the Exxon-Valdez oil spill did not cause oil prices to rise. One reason was because oil prices in 1989 were only around $20 a barrel. The other was that only 250,000 barrels were spilled. Although this had a devastating impact on the Alaskan coastline, it didn't really threaten world supply. The BP oil spill spewed more than 18 times the oil than did the Exxon Valdez. Yet, oil and gas prices barely budged as a result. Why? For one thing, global demand was down thanks to a slow recovery from the 2008 financial crisis and recession. Second, even though 174 million gallons of oil was spilled, it was over a long period of time. It also wasn't a large percentage of total oil used by the United States. In fact, it was only about nine days worth of oil. The United States consumed 6.99 billion barrels in 2010, according to the U.S. Energy Information Administration. That's a little over 19 million barrels per day.